Hella Butter Reviews: The Intern! 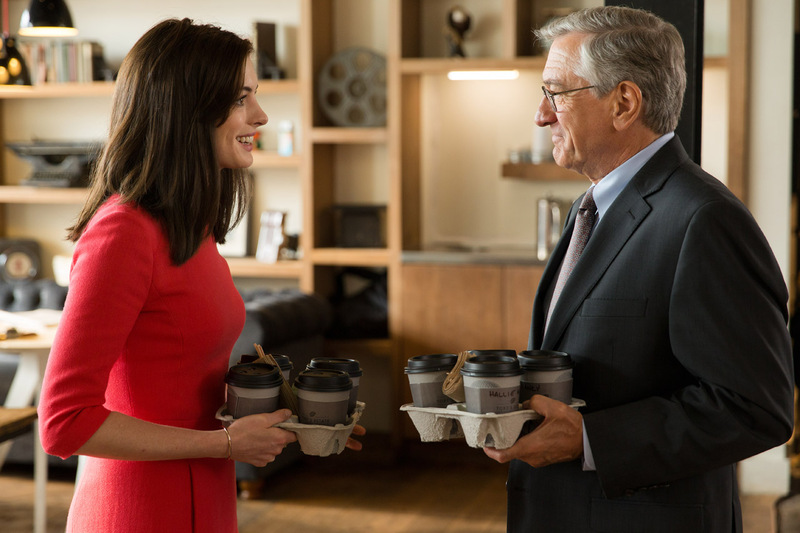 Plot: Dissatisfied with retirement, a 70-year-old widower (Robert De Niro) takes an internship at an online fashion site and develops a special bond with his young and attractive boss (Anne Hathaway).Dissatisfied with retirement, a 70-year-old widower (Robert De Niro) takes an internship at an online fashion site and develops a special bond with his young and attractive boss (Anne Hathaway). Review: By first glance, The Intern looks like your typical rom-com that most people will see, and then forget about. Hell, I never even watched the trailer until the day I attended the screening. I brought my girlfriend thinking if one of us was going to enjoy it, it’d be her. I was happily proven wrong. The Intern was loads of fun and had the both of us laughing from start to finish. I think I may have even enjoyed it a little more than she did! I’m sure it helps when your two main leads have both won a coveted Academy Award. The film follows an owner of a start-up company and the relationship that is built between the owner and an intern. If you had no idea what the movie is about, you would think Robert De Niro would be the owner with Anne Hathaway playing the intern. Obviously this is Hollywood so the writers thought they spice it up a bit and have Hathaway play the business owner and De Niro playing her “senior intern”. Genius if you ask me. 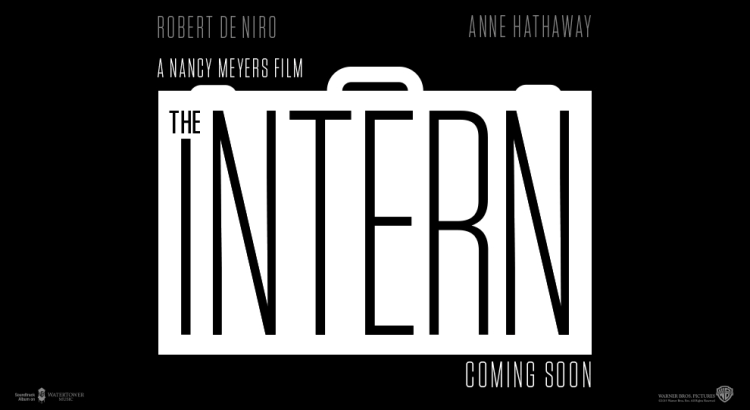 The Intern begins with De Niro’s character being a retired widower who sends a video testimonial to Hathaway’s company to become an intern. The reason he decides to do that is because he pretty much has no excitement in his life(goes to the same Starbucks every morning, visits his son and grandchildren, etc). At the same time, Hathaway’s character is struggling to find a CEO to run her company because the investors feel she may run it into the ground. 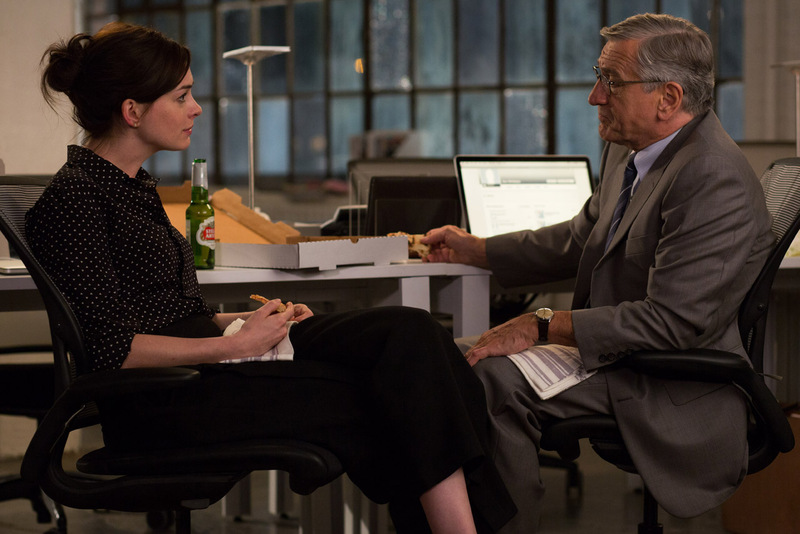 The two get paired together(Hathaway’s character had no idea of the intern program) and from there she learns a few life lessons from De Niro. Robert De Niro is usually given a lot of s**t for the roles he has been choosing lately. And while I may agree with the general public about his last couple of roles, his role here in The Intern does not fall under that category. Even if for some reason you don’t enjoy the movie, you can tell De Niro enjoyed working on this movie and gave it his all. It shows on screen. His character is charming and very lovable. Majority of my favorite scenes from the movie all include De Niro. My favorites being every scene with De Niro and his young co-workers(played hilariously by Adam DeVine, Zack Pearlman, and Nat Wolff). The four of them steal the show. The fact that De Niro is so much older than them, but plays a very hip father figure type of role to them plays out naturally on screen. Add in the fact that our current youth culture is in the “hipster stage” right now, it makes perfect sense(one buys the exact same retro briefcase from eBay). Let’s not forget about the other Oscar winner Anne Hathaway who also delivers a memorable performance. Hathaway might be one of the most consistent actresses in Hollywood right now. She also happens to be one of the hottest actresses in the game right now – so not only is she beautiful, she has the talent to back it up. Hathaway’s character not only has her company to worry about, she also has a family(daughter and stay at home dad) to take care of. She even rides a bike through the building and counts it as her workout! Hathaway gets a few of the emotional scenes in the film and knocks it out of the park. One particular scene is where her character learns for the first time that the company’s investors wanted to hire someone with experience to be the CEO. It’s so believable and hell, I’d cry too if someone told me I wouldn’t be able to run my own company. Long story short, The Intern isn’t a movie that you’d assume that you want to rush and see – but upon seeing it you’d realize how fun it is. I hope the audience gives this one a chance. Other critics will take this movie too seriously, but in my opinion, there is nothing wrong with a feel good story and having a good time. The last couple of movies I have seen were dramas or action movies. It’s been awhile since I’v seen a rom-com, let alone a rom-com that I enjoyed. Kudos to Robert De Niro and Anne Hathaway for having an on-screen chemistry that I would have never expected from the two. They even have a very hilarious scene where Hathaway is showing De Niro how to use Facebook(we are the Facebook generation!) for the first time. If you don’t feel like watching a straight laced movie this weekend, watch this and relax and have a good time. 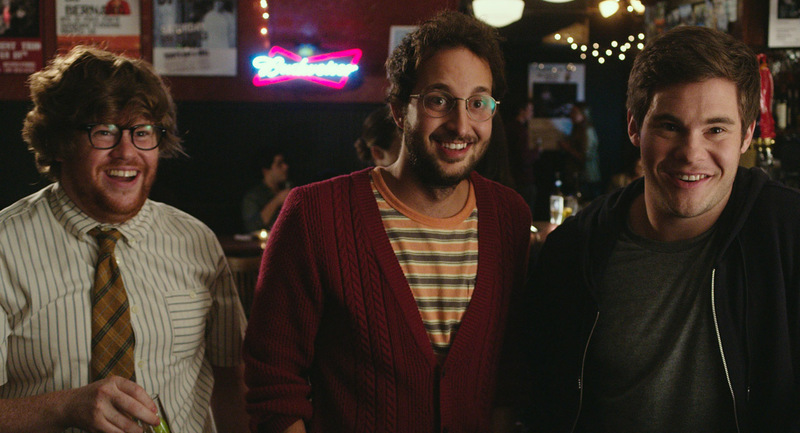 The Intern is a movie that will be sure to put a smile on your face. I give The Intern an 8/10. ← First trailer for director Adam McKay’s The Big Short.